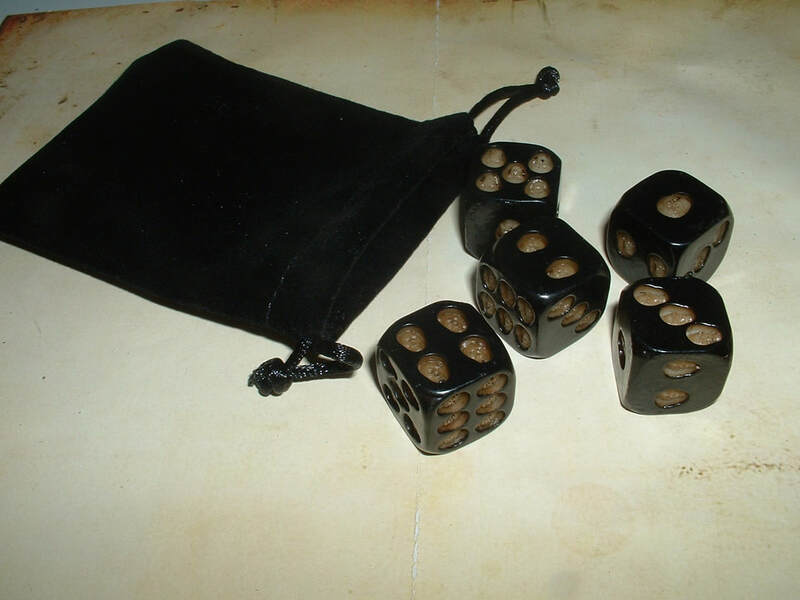 Carry your miniature dice with your keys so you are always prepared for that impromptu rpg game! 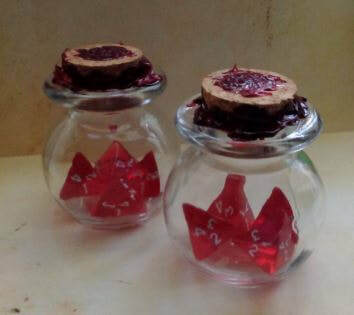 ​& screws closed for safe transport. 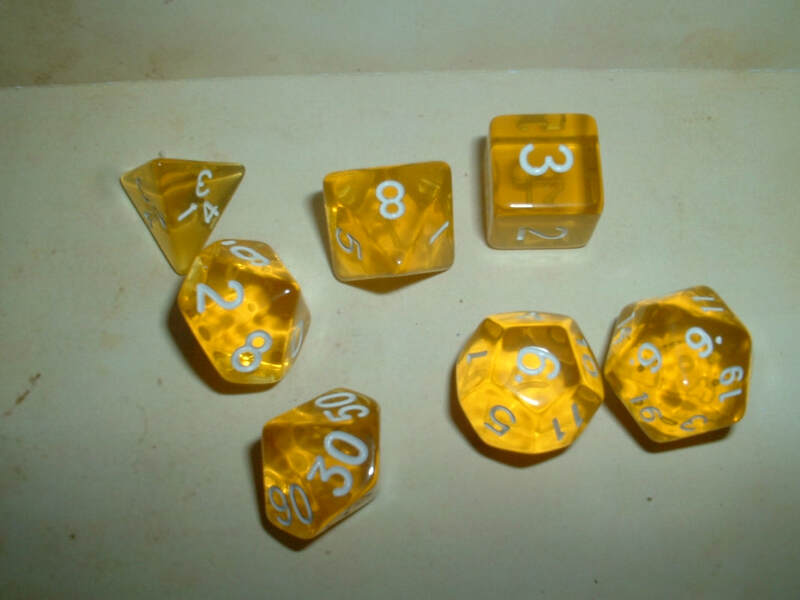 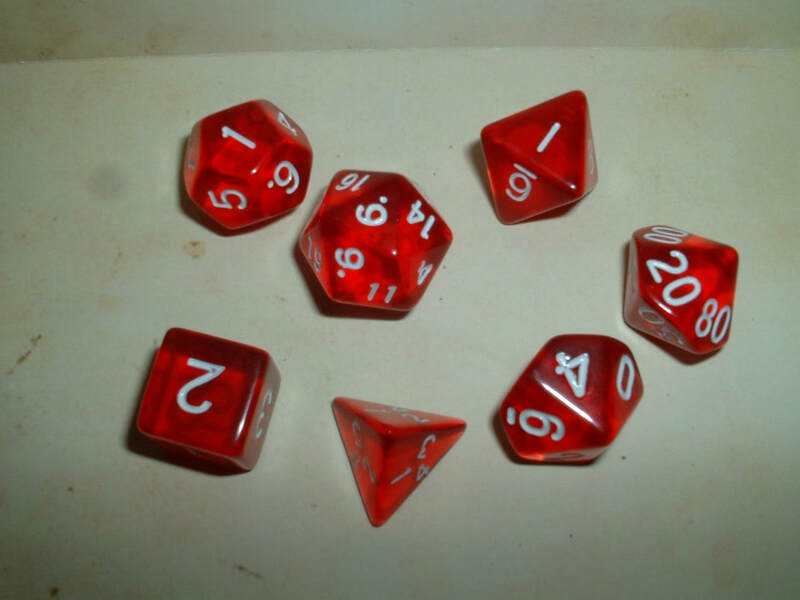 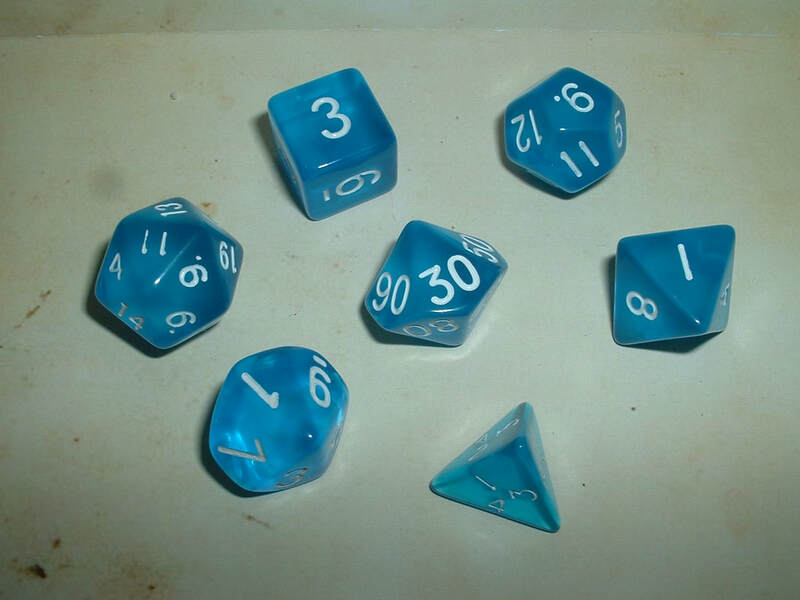 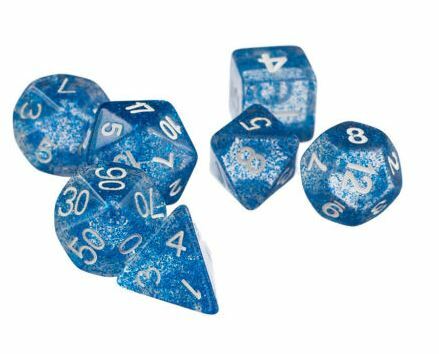 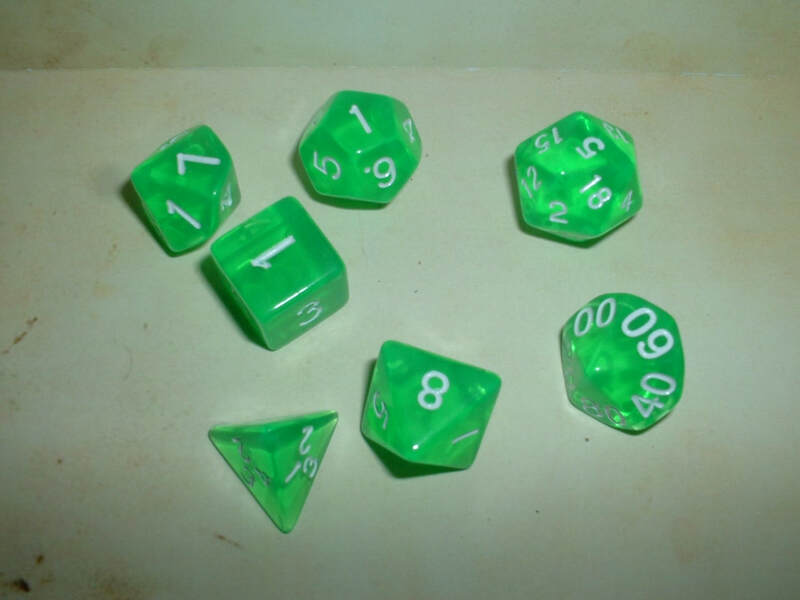 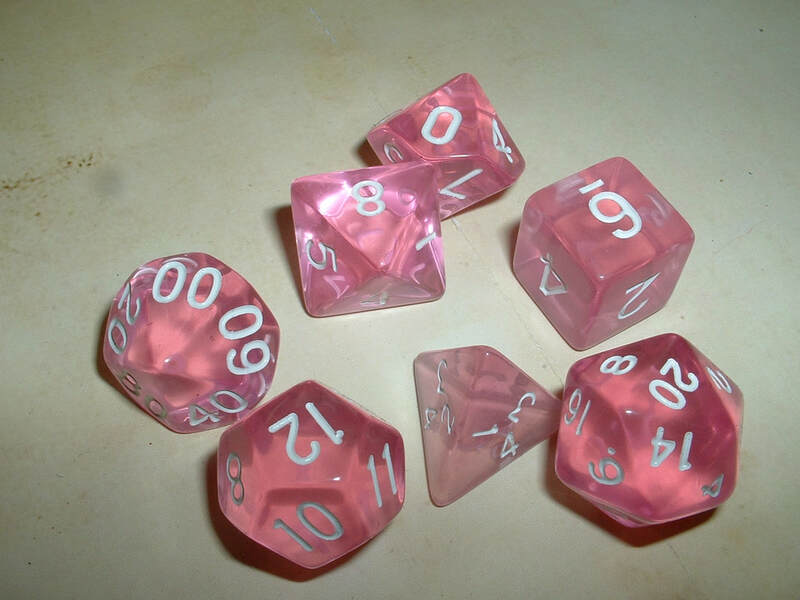 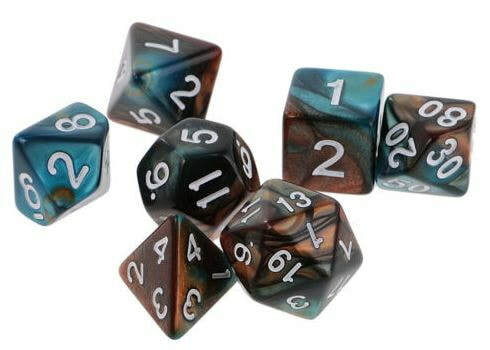 Each set includes a D60, D30, D24, D20, D12, (2) D10s, D8, D6 & a D4! 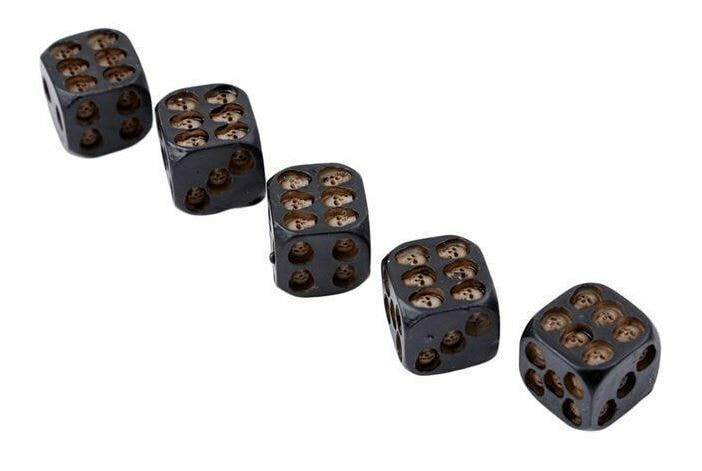 Carved skulls in each side signal the value of your dice roll. 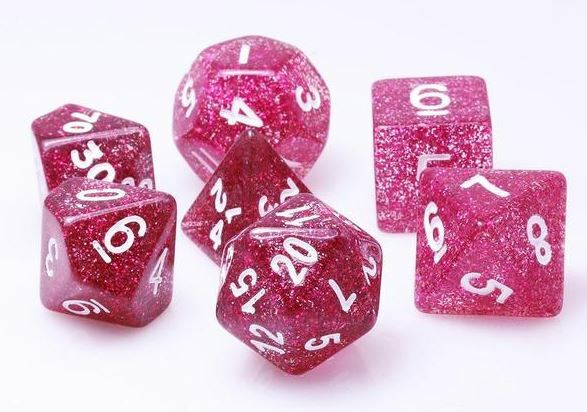 Velveteen & Silk dice pouch included! 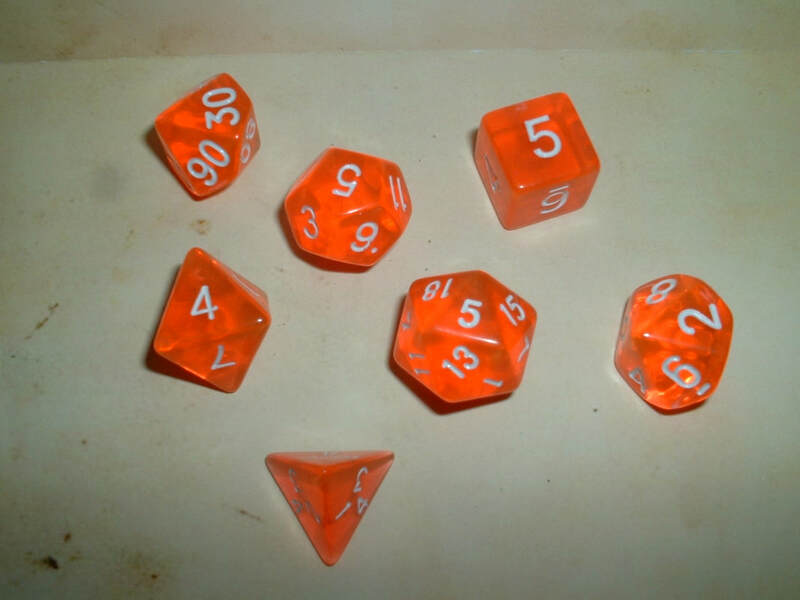 Designed for RPG Tabletop Gaming this 7 piece dice set is one of a kind! 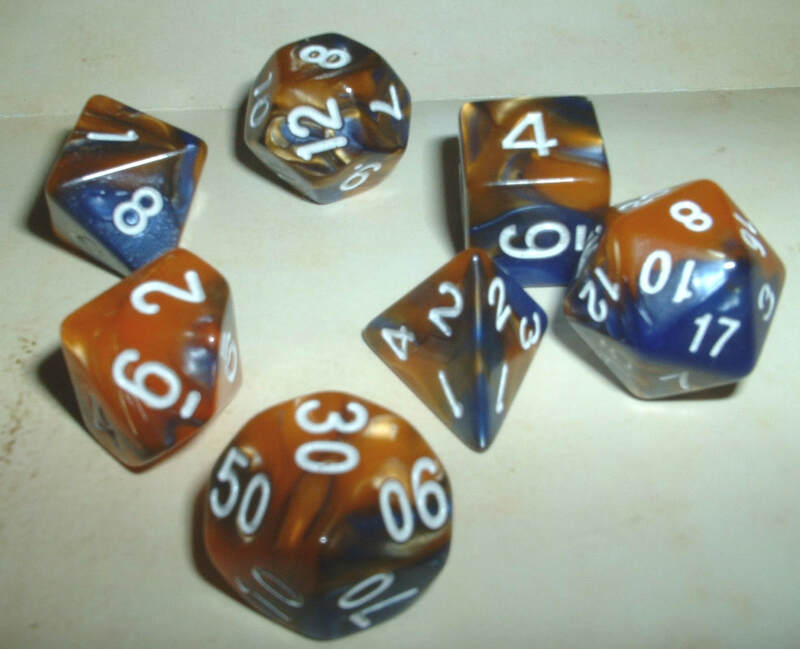 No two sets are exactly the same! 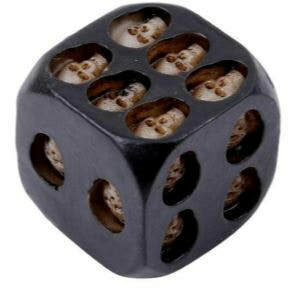 No need to use two dice when rolling with Advantage or Disadvantage this D20 can pull the weight of two! 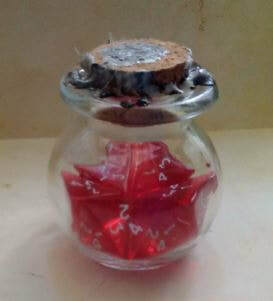 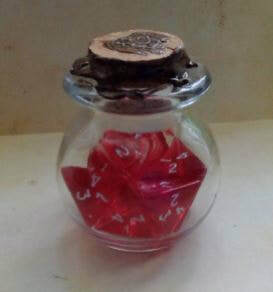 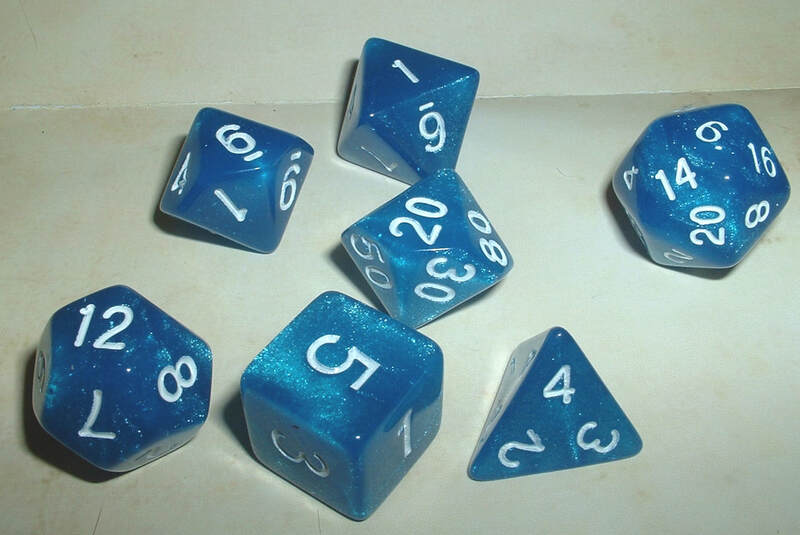 Outer is 25mm Translucent Hallow Acrylic while the inside is a 12mm Opaque Solid Acrylic dice. 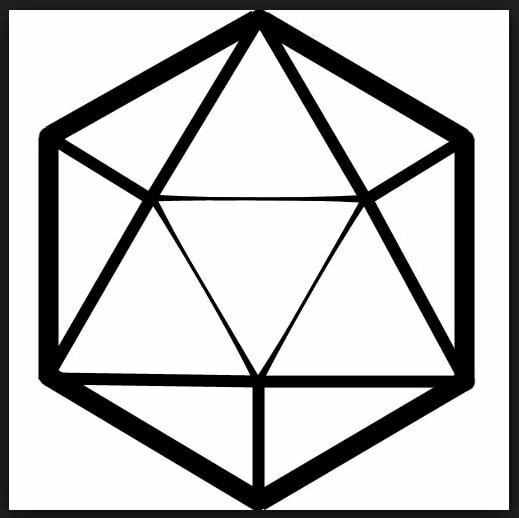 Designed for RPG Tabletop Gaming created in the USA. 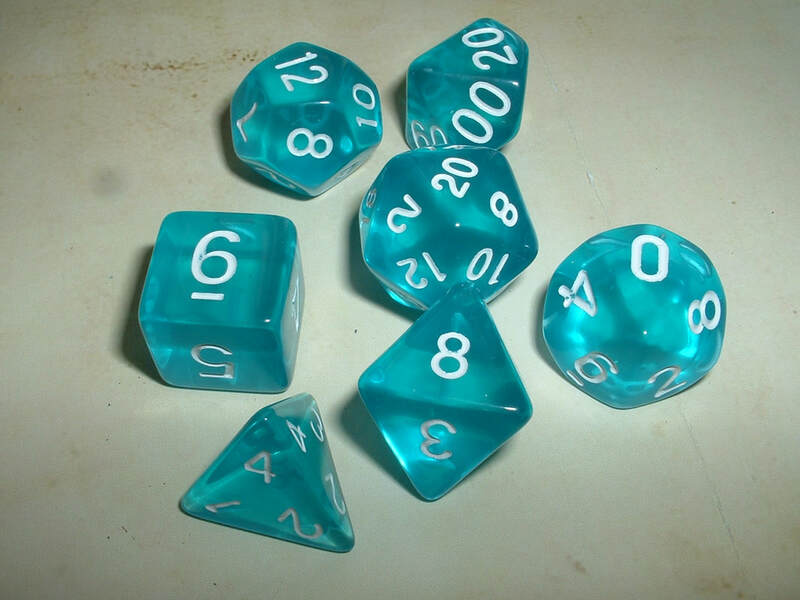 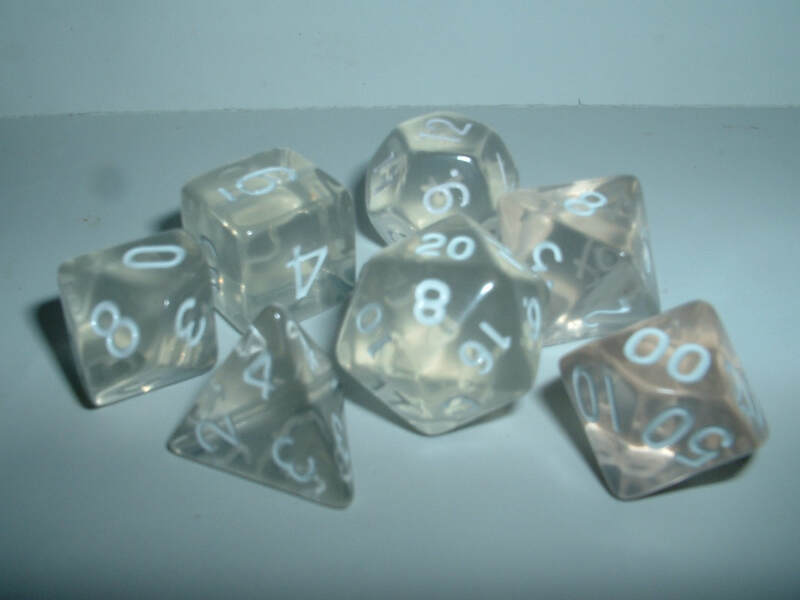 These are crystal clear lucite dice. 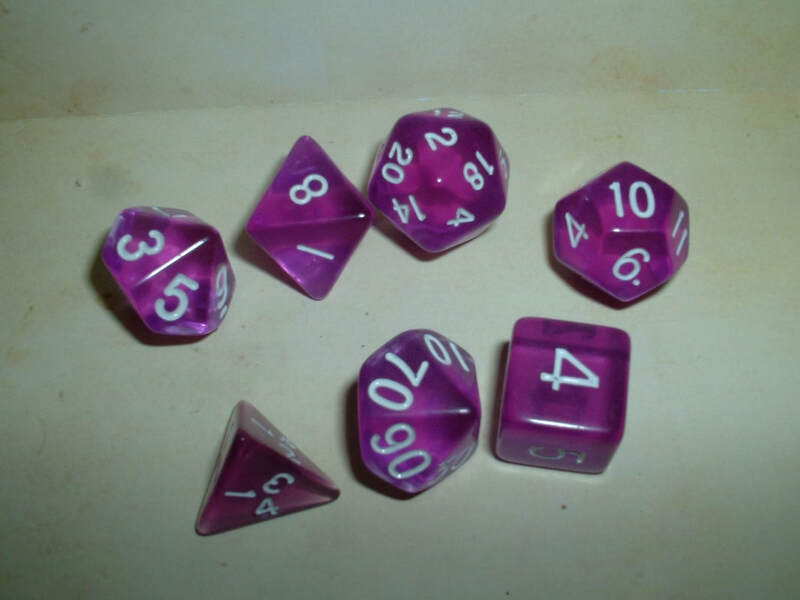 Any colors you see in the photography are reflections. 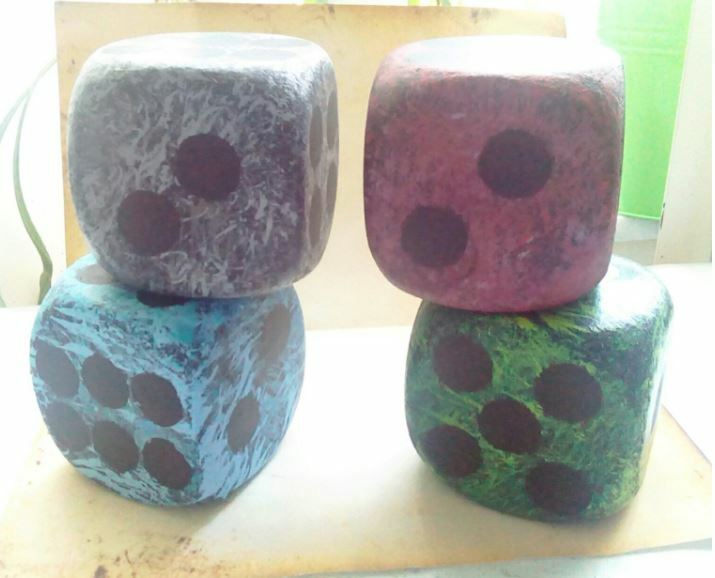 Available as shown or custom colors!